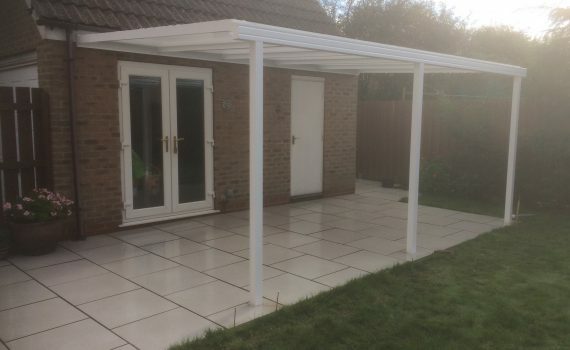 This customer had two area’s to sink the legs when considering canopy leg placement, grass and slabs. Their photo shows the neat finish that can be achieved with the legs ‘disappearing’ beneath either. 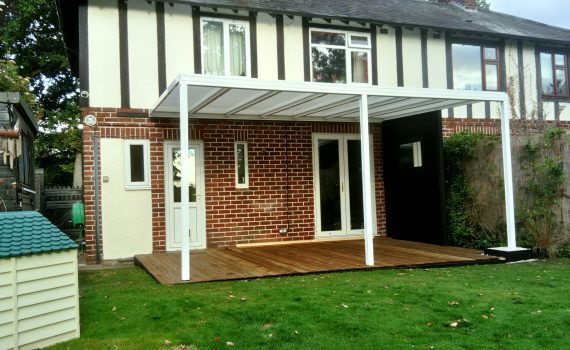 All of our canopy systems are made to measure, so we can provide a quality cover for most areas. The frame comes in White, Brown or Anthracite grey which is a perfect match for most Bi-fold doors. 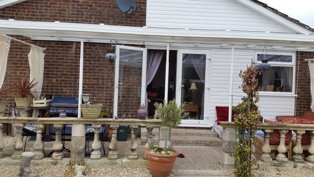 The frame work is specially powder coated to ensure maximum durability. 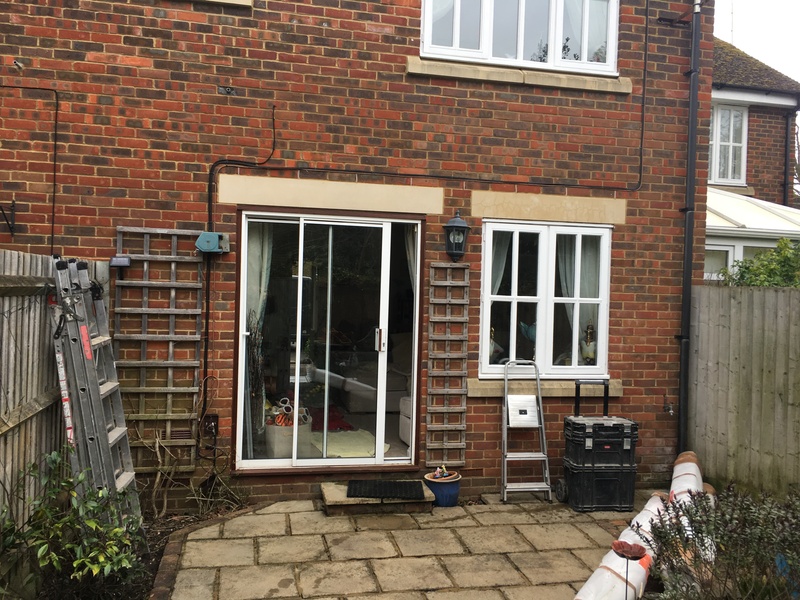 Our focus at LuMac is to provide high quality and bespoke service at a competitive price. The team are always on hand to help with any questions you may have. 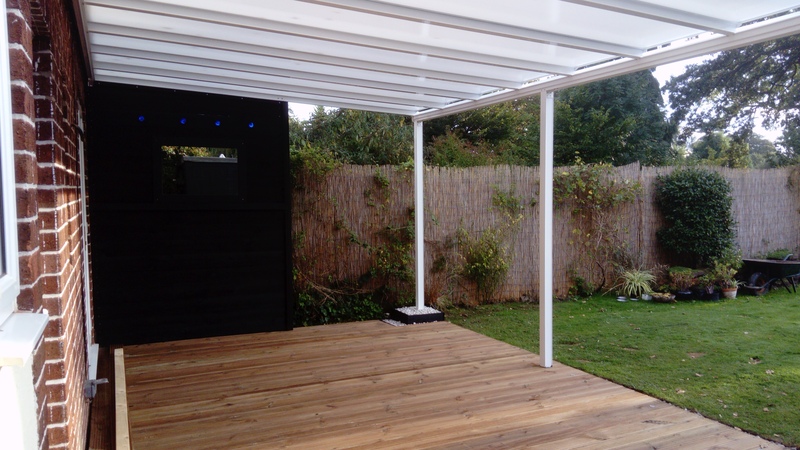 Canopies are all we do, therefore we can advise on all aspects of your design. 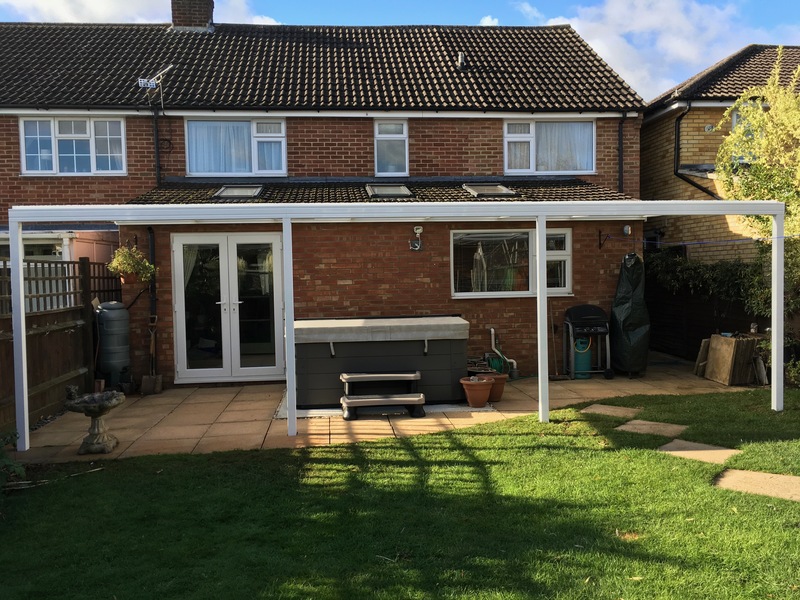 Because of this we are confident we can provide the best canopy for you, contact us today HERE. We bought the lamps in Turkey 2 years ago, (and I waited a year before we had the canopy). 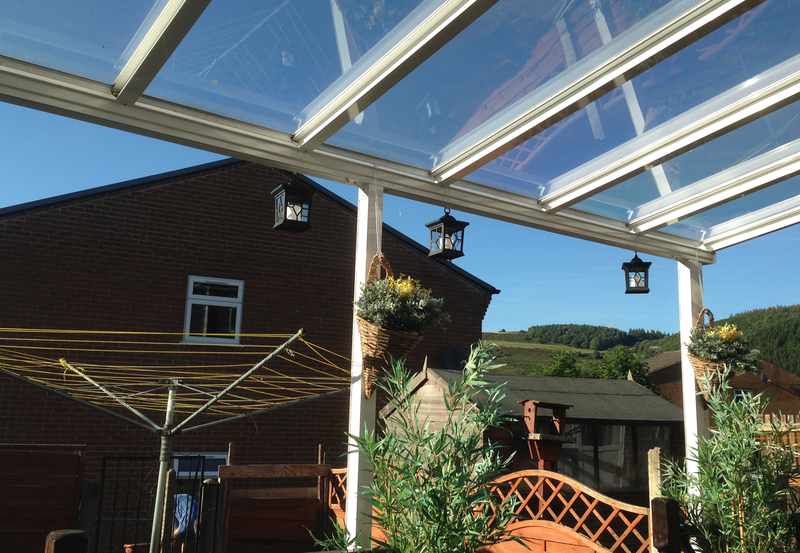 We believe the area we have created is ideal for a Mediterranean themed area. 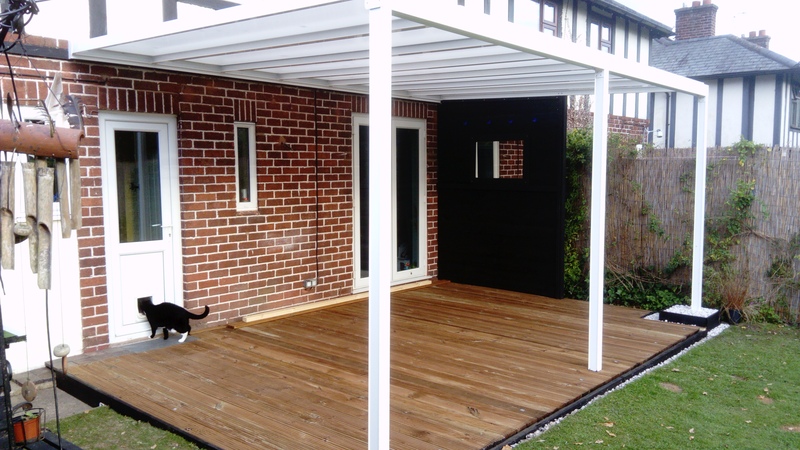 Our friends love it, as it makes a great party room regardless of weather. 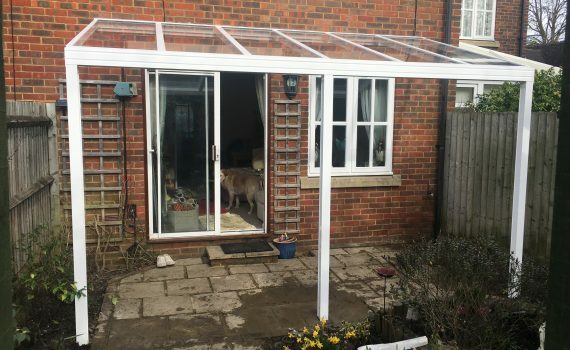 The only problem is that our mad mutt keeps seeing herself reflected in the canopy, but thinks it’s another dog! We live in a lovely little hamlet in South Worcestershire, and all the neighbors are impressed with it. Very impressed, was concerned about the installation started at 9am finished at 4pm. Just the legs to concrete in. Looks marvellous. 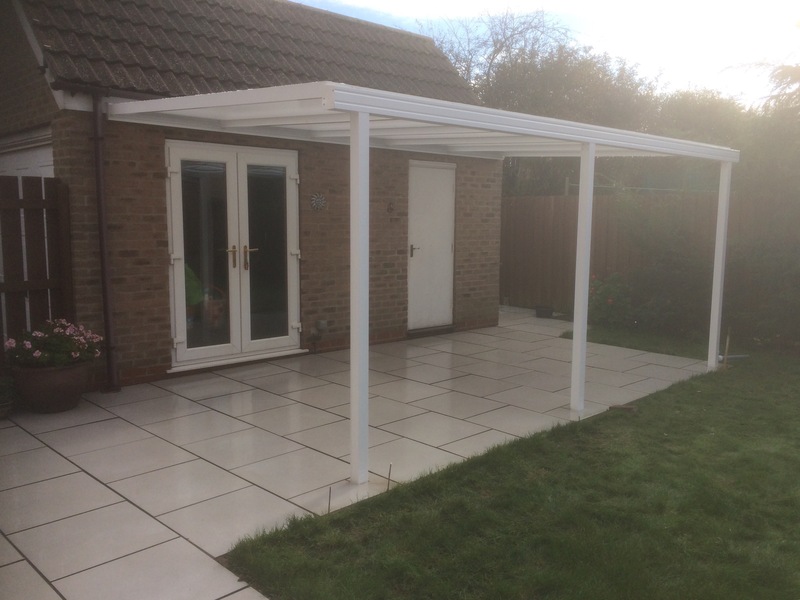 Thank you for your help when choosing our canopy, your product and service was exemplary and very easy to install myself over a weekend, with clear instructions, would happily recommend your company and product to anyone considering one. Enclosed are pictures after I finished the project. 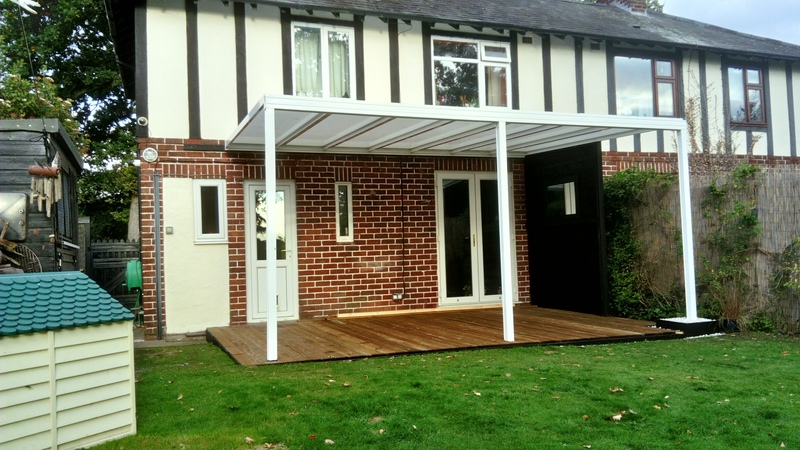 We are extremely pleased & have had a lot of comments on our Lumac Canopy. 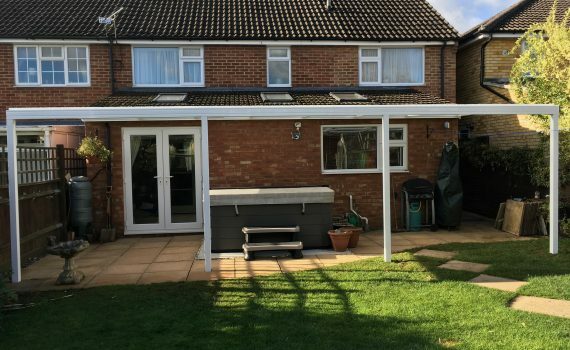 It was easy to put up and very sturdy. 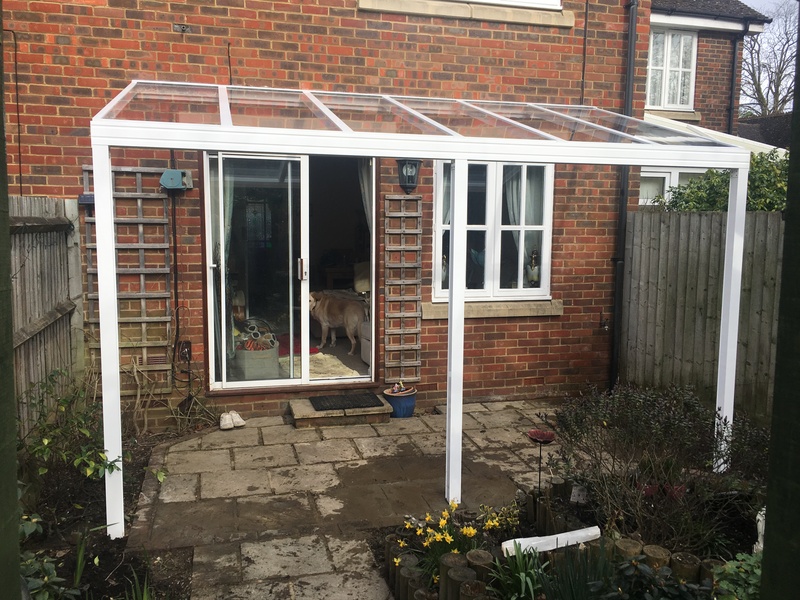 We went for the clear Canopy, but there are other options avaiable which are a bit dearer but worth it. Customer services was great & helped us with any questions – 5 stars all round!